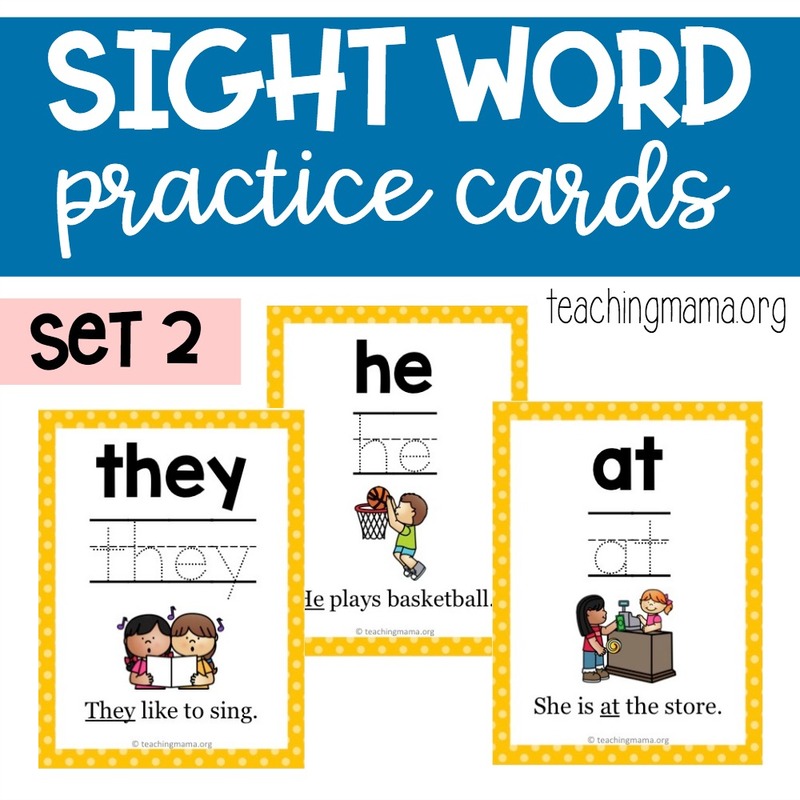 A few weeks ago I shared some sight word practice cards. I quickly realized that this printable was valuable and something you all are wanting, so I’ve decided to create more practice cards. 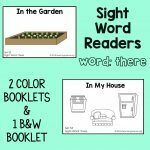 This set has 52 Primer words from the Dolch Sight Word list. 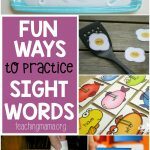 Practicing sight words is a great way for a child to begin to read. 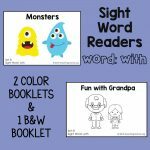 Sight words are simply words that can’t always be sounded out and are frequently seen in text. 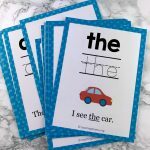 The cards I created are designed to help your child practice reading these words. Read the word in a sentence. 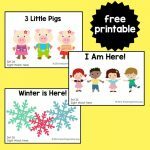 There is a picture on each card, which may give some clues to the child to help them read the sentence. 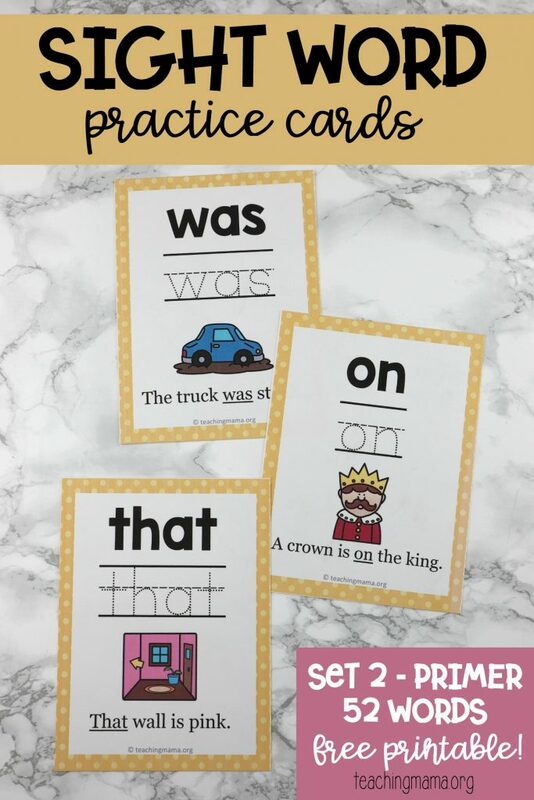 These cards are not necessarily flash cards, but they are used to practice reading these words quickly. 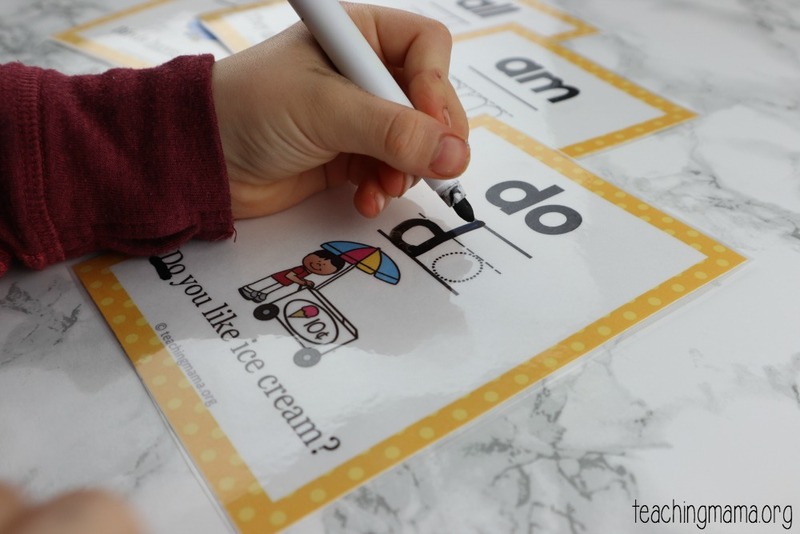 You could laminate the cards and use a dry erase marker so you can reuse the cards in the future. 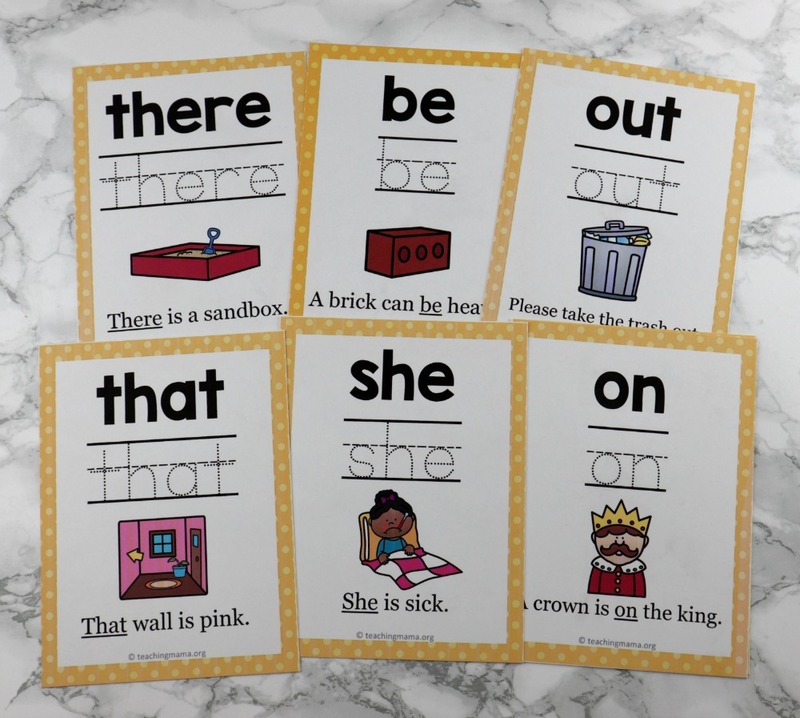 Don’t worry if your child has trouble reading the word right away. With time, practice, and repetition, they will start to read the words. 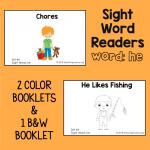 Reading sight words is just one component of learning to read. 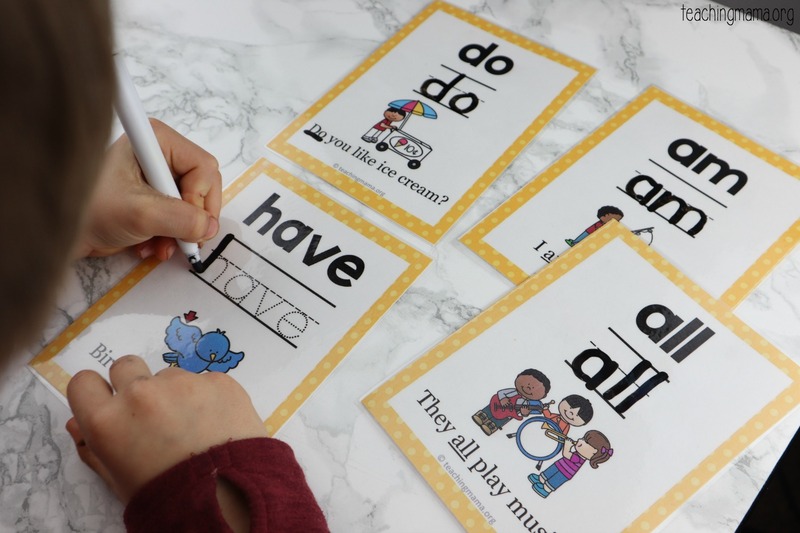 It also takes practice with phonics, phonemic awareness, comprehension, vocabulary, and print awareness. If you’d like to download this free printable, just click the button below!